As the winter approaches, the world falls into a slumber. Motivation is at an all-time low during these times, creating an atmosphere of sloth-like contemplation that is the eternal enemy of motivation. No one wants to do anything during the winter months, and as a result, it can be very easy to fall into a slump. We all need to be cautious of becoming too involved with the “darkness” of winter. Even though the season can seem bleak, it’s important to keep the heart pumping, the blood rushing, and the body moving. Life does not stop with the snow. We need to find the light to carry us through the darker months, if only to find the inevitable spring that will be our respite at last. 1) Change your diet. Try introducing some warm, comforting foods to perk up your spirits when the temperature dips. Fresh, organic soups are a fantastic way to keep the body balanced and healthy. 2) Exercise. Even though you’re not going to want to, it’s a very important thing to maintain, especially during the winter (and might we say, yoga is a FANTASTIC form of exercise). 4) Check out some community events. Surprisingly, the city of Toronto lights up with activity when winter approaches. Art shows, meets and greets, and live music galore! Be sure to check out the fine entertainment this city has to offer in order to inspire your mind and enrich your soul. 5) Meditate. Become one with your body and mind and enjoy the soothing practice of meditation. Even if you’re only sitting for a couple of minutes a day, the impact on your focus and your mood will be astounding. 6) Take a class. Ever wanted to get creative with a new skill or art form? There is no time like the present! Keep the mind active and busy by learning something new. 7) Keep a winter journal. Writing is one of the most soothing practices to document your thoughts and clear the mind of the cobwebs. For every day, write something that speaks to you, whether it’s a thought of gratitude or an idea for a new story. Document everything and read it in the spring. It’s the simplest time capsule that you can create. 8) Stay close to the ones you love. A little support will go a long way when things are cold and dark. In a pinch, love can make anything warmer. 9) Remember the golden rule. Be good to others, but also be good to yourself. Self-care is an art that needs to be practiced often and with diligence. Demonstrate your commitment to self-care to others and watch love grow around you. Sometimes, winter is harsh. It’s important to not lose sight of your own magic. 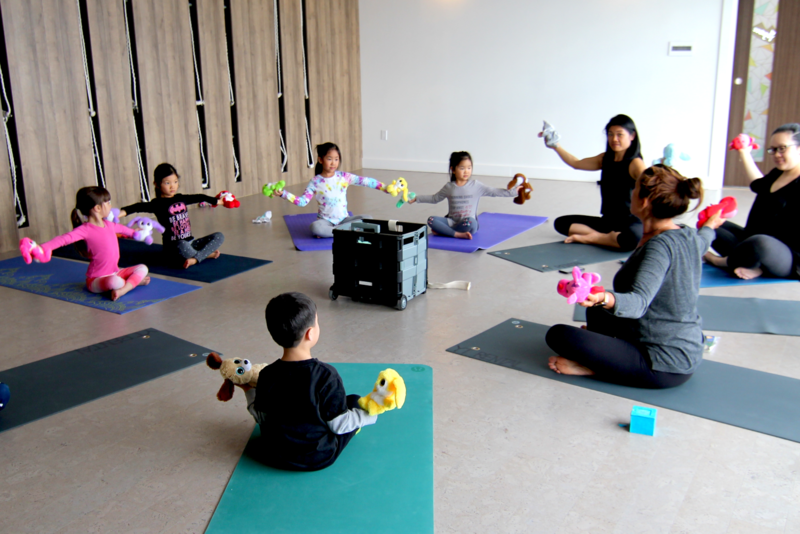 At Yoga Tree, we look forward to offering a little extra boost to all of our students during the cold, cold months. Whether it be with a heart-pumping hot class at Richmond Hill or with a slow and steady candlelit restorative at Bay and Dundas, each of our studios is equipped to induce absolute bliss. If you need a respite from the darkness of winter, look no further. We are here for you! Stay warm out there, yogis and yoginis. Remember that there is always time for a little self-care.